AVIASPACE BREMEN is an association of dedicated companies and application-oriented research institutes in and around the federal state of Bremen. This network implements the federal state of Bremen’s strategy for the aeronautics and space industries. The association’s objective is to improve cooperation and develop innovative projects in and around the federal state of Bremen as a business and science center. Its scope covers the aeronautics and space industries and other technologies related to this area whose members have specific competences. 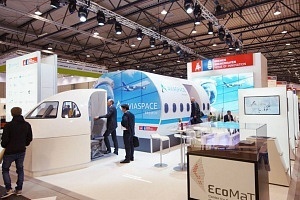 AVIASPACE BREMEN connects companies, scientific institutions and authorities. It focuses on topics such as networking, technology transfer, and economic growth through promotion of start-ups and young entrepreneurs. The purpose is to develop a technical and organizational network of producers of end-products, suppliers and service providers, and scientific institutions in the fields of materials science, highlift systems, engineering, manufacturing technology, earth observation, and robotics. More than fifty of the companies and institutes working in the aeronautics and space industries in Bremen have already joined AVIASPACE BREMEN. Please find a list of our members here.